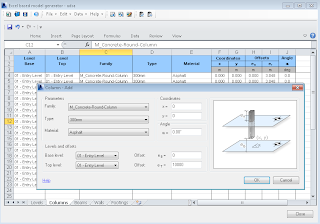 Using the Excel® Based Model Generation extension, you can generate Revit model based on the data defined in a Microsoft Excel sheet. 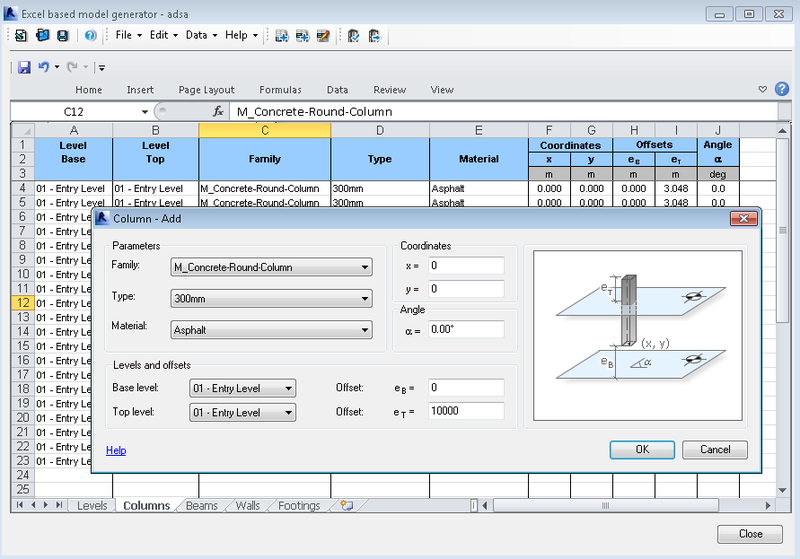 The environment of the Microsoft Excel sheet enables automating the process of structure definition. Manual definition in the dialogs used for defining parameters of individual structure objects.